We don't normally do this but this is getting out of hand. 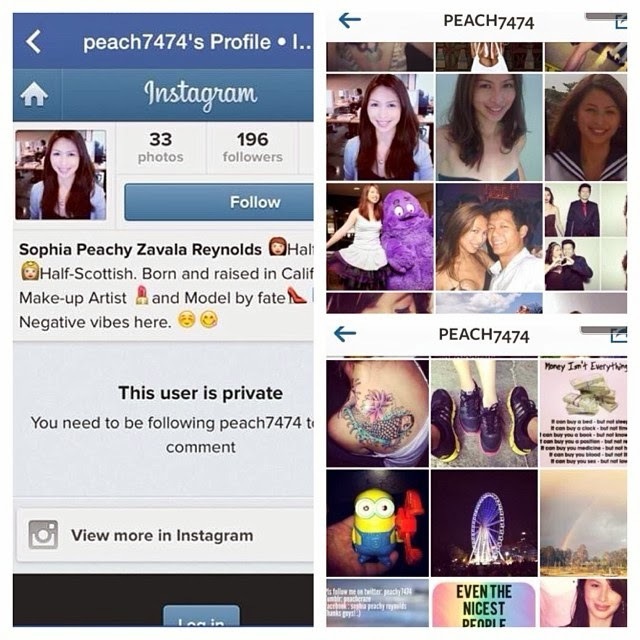 Some @peach7474 is posing as RB Mica. Not only is she using Mica's photos, she's also including private photos that includes Mica's loved ones! And to makes matters even more annoying, this pathetic low-life is even posting her own opinions on various matters while using Mica's photo as her profile pic. See this is what makes the web quite a dilemma and a double edged sword. On one hand you want to connect with other people--to share with your friends, loved ones, and connect with potential business-related leads. On the other hand though, it makes you more vulnerable to identity theft. Can you spell C A T F I S H? Be careful RBs...and if it's possible to help us out, please help us hunt this crazy person down and have her profile taken down as well. Beware of this very sick person! This is NOT RB Mica and she's posing as RB Mica.